When marketing an idea or a product, the success or failure of your endeavor rests largely upon your audience. Are you reaching out to the right people? Are they responding? Does your message resonate? When you find the right people for your audience, everything else falls into place. While Google’s search network works with keywords to attract an audience, Facebook looks deeper into the interests. If you’re wondering who your audience is — what they like, dislike, what they do online — Facebook has the perfect tools for you to use. 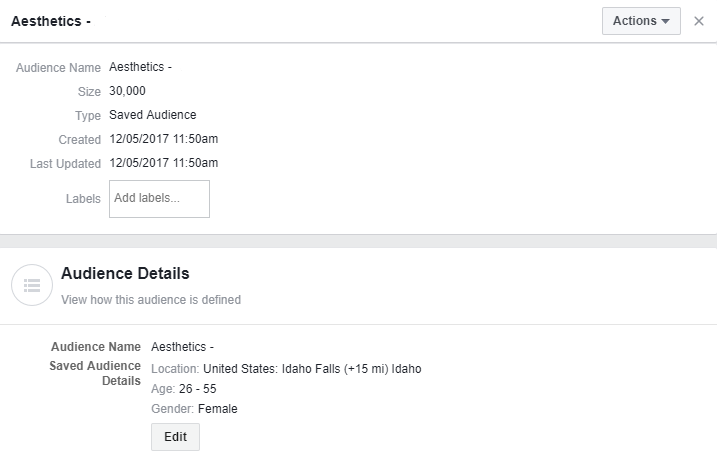 Facebook Business Manager allows you to create audiences for your ads and targeted posts. The three main types of audiences they help you create are lookalike audiences, saved audiences, and custom audiences. If you wish to cast the net further to attract customers similar to your current base, the lookalike audience is the way to go. 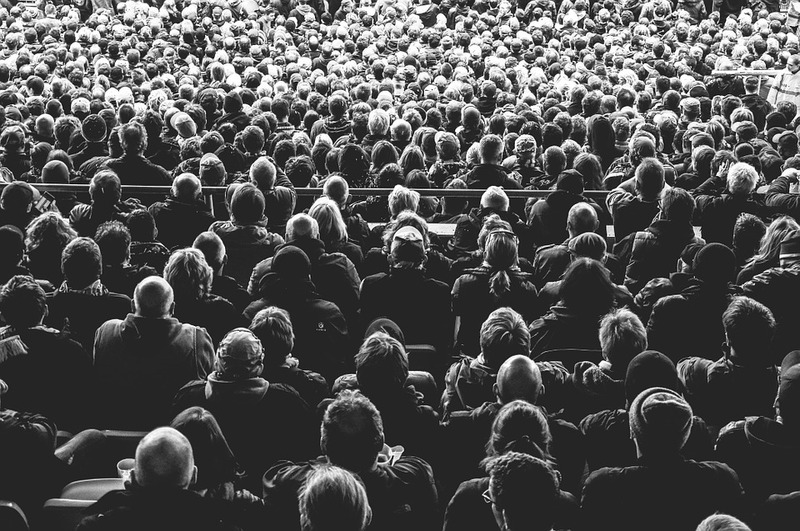 One nice thing is that the audience selection process is automated: you select your source audience, the size and location of those you want to sift through for similar qualities, and then create your audience. In determining your source audience, you can be as broad or as specific as you like. 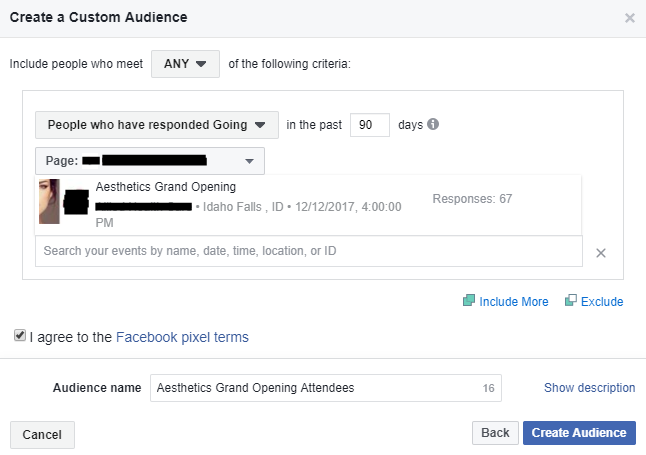 You could use those who like your page (broad) or go as specific as using a custom audience you’ve created (specific; see below). For a better, more reliable lookalike audience, however, you’ll want to get into specifics. Make your source audience an all-star audience of your best, most interactive customers. You’d like to find more people out there like them, wouldn’t you? The higher quality your source material, the better your lookalike audience will be. In determining the size of your audience, the standard rule of thumb is to set it at 1%. This means that you are looking for the best of the best — or those that most closely resemble your source audience — among 1% of the selected population. This ensures that you will zero in ever closer to what you are looking for. While optimal, you may want to bump it up to 4% if you see your KPIs, frequency score, or CPMs increase. It’s all about experimentation to see what brings the best yield. A saved audience could also be called a custom audience because it comprises of characteristics that you specifically want to target: interest bases, geographical location, age group, etc. Not to be confused with actual custom audiences, which we will get to in a moment. You build a saved audience from scratch and research. In the example above, a client asked that we create a Facebook ad for their newest chiropractic service, aesthetics. Based in Idaho Falls, determining a geographic location was intuitive: target those who would make the trip to receive the service. Further research helped us determine that the biggest market for aesthetics was comprised of women, generally in the 25-55 age range. People would love a discounted oil change, right? Should we target first-time home buyers? The answer to all these questions is an invitation: test it. If you have an idea you want to try, you’ll never know its efficacy unless you actually put it to the test. Don’t just settle on directing your message to certain age groups in certain locations. Facebook has over 200 points of data mining on most users. Take advantage of this information by experimenting with interests. The data is there for you — use it to leverage the right customer. Whether you want to include or exclude people with a certain interest, Facebook allows you to do so. For example, you can target people who like Zillow but exclude those that like Realtor. With so much flexibility, it is up to you to experiment and find out which saved audiences work for you. As we suggested before, custom audiences are similar to saved audiences in that you delineate to whom you will market. Custom audiences take it a step further by basing your audience on those who have already interacted with the business. This can be at any entry point: email list, Facebook event, even those who liked your post or visited your page. With a custom audience, you can put this past engagement to good use. There are many options for creating a custom audience. You can base your audience on uploadable customer files, website traffic, app activity, offline activity through channels such as in-store or phone interactions, or engagement through social media. Say you decide to base your custom audience off of engagement. Returning to our chiropractor example, perhaps you have an event you want to advertise to those who marked “going” to your last event. Instead of targeting the same broad group, you only want to go after those that actually showed an interest via their engagement. This audience tool helps to dial your message into those who will respond. Other options will prompt you or in other ways lead you to create a Facebook pixel. A pixel is an in-Facebook analytics tool that allows you to track activity on your website. This can be helpful in understanding your customers and the efficacy of your Facebook advertising. Who is interacting with my business? Who isn’t interacting with my business? Both online and geographically, where are they? In answering these questions, you zero in on the meat of the issue: to whom you will advertise. Not including your lookalike audience, we recommend that you build 5-6 audiences for every ad account. This not only allows you variability in your targeting but forces you to really consider who would best benefit from your message. Last time, we talked about how lead generation ads can attract valued customers who are serious about your product. Finding and creating the right audience for your message is another way to go about this. Sure, you can “spray and pray,” and this may even bring you in some leads. But if you are able to zero in on that one percent that is serious about what you have to offer, why not put your focus on them? 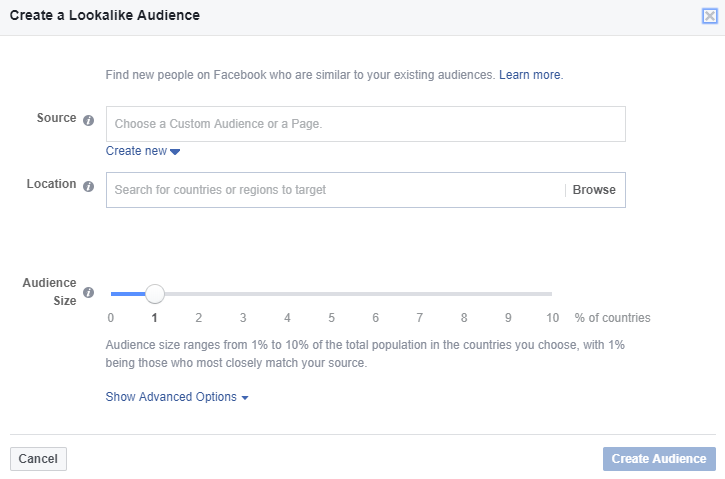 The Facebook Audience feature has all the tools to help you find valued customers. Dive in, experiment, and find them today.